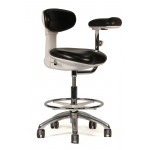 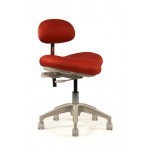 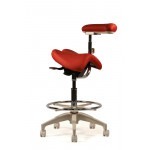 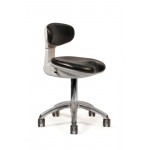 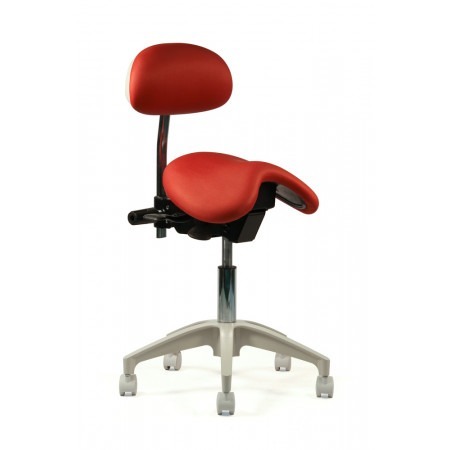 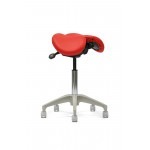 Standard Features Stool: Dual Lever Adjustment Seat: English Style Saddle Cylinder: Tall - Metal Base Base: Metal Base Casters: Carpet - Beige Cushioning: Standard Foam Upholstery: Standard Vinyl Benefits Distinct anatomically contoured seat design allows for a custom fit. 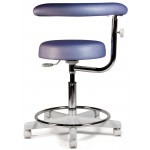 Multi-angle pelvic positioning helps reduce lower back strain. 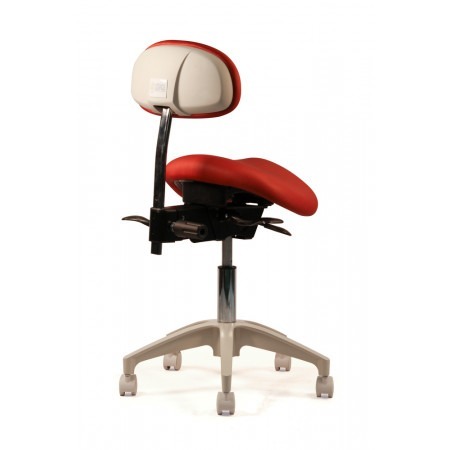 Improved balance point allows you to bend forward and reach further with less strain. 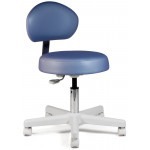 Small seat size allows the closest positioning to the patient. 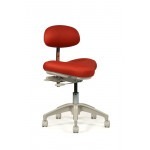 Carpet or hard floor casters glide easily in any environment. 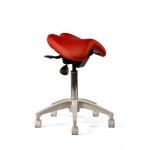 Five-leg powder coated aluminum base provides better stability. 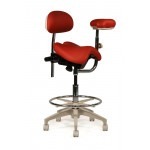 Choice of different height lift mechanisms provides a wide range of adjustment.